This Sunday, my amazing, thoughtful, brave and beautiful daughter turned 16. I can’t believe it! They say that 16 is a big deal birthday, so we wanted to do something big to celebrate. Here’s how it went. Give birth to your baby. There will be stuff, like that whole birthing thing. And a little, adorable bundle of joy. She’ll look at you and you’ll look at her. Take maybe 90 seconds to five minutes. Then, start planning her sweet sixteen birthday party. Realize thousands of days have passed and you haven’t done anything beyond acknowledge that yes, sixteenth birthday parties are a thing and that you have an almost sixteen year old. Sure, ideas were tossed around. She doesn’t want a big party. She’d like to go on a trip to Europe, which for a variety of reasons, won’t happen at this juncture. Make a final decision to do something with friends, as always, once school starts because a lot of them aren’t available in August. Plan for the usual family gathering on her actual birthday. Notice your daughter moping around the house and sighing about twice the normal amount. See her eyes shining as if brimming with tears as she texts a friend. Change plans to a bigger family gathering with more specialness to cheer her up. Okay, now it’s time get down to brass tacks. The great thing about having an older child is that she can help with this stuff. It actually makes her feel more mature which is something kids like! So, send your daughter off to plan away. Curse the day Pinterest was invented. It’s off to shop for the party. Another great thing about older kids is that you can leave them home alone! Shop at Pier 1, where you will find that summer has gone into the witness protection program and there are only halloween and fall foliage themes to be found. 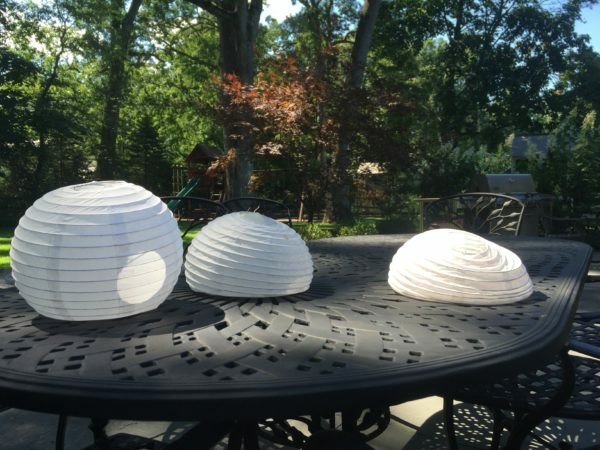 These do not fit with your daughter’s white and robin’s egg blue summer backyard party theme. You will catch a Charmander Pokemon there, so all is not lost. 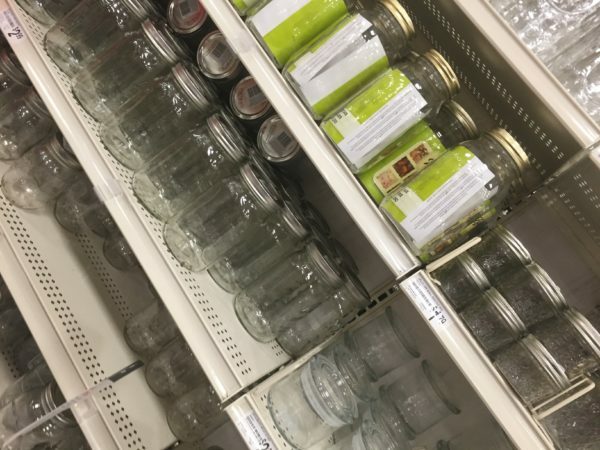 Head to Michael’s, where there is still a full set of shelves dedicated to mason jars of all shapes and sizes and breathe a sigh of relief. Buy several of all types of mason jars. Head to Bed Bath and Beyond. Snap up that Mason Jar themed lemonade dispenser. Get two while you are at it. One can be sangria! And the mason jars with handles and straws. And the mason jar themed tray of three for keeping those robin’s egg blue knives forks and spoons you’re getting at party city. Note as you load the car that this mason jar thing might be getting out of hand. With your kids along for the ride, because it’s never too early for halloween shopping, head to Party City. While the younger kids look for makeup, wigs, and stuff emblazoned with the Mets logo, head to the decorating aisles with your birthday daughter. Say yes to everything, in the manner of that Scoobie Doo/ladybug/Dora/Barbie party when she was four. Marvel at how her sense of style has matured and improved. Buy two dozen balloons because that seems like something Gwyneth Paltrow would do in this moment. Buy foods on the menu you and your daughter jointly decided on. melon and proscuitto, polenta to make little cracker-like rounds with goat cheese and sun dried tomatoes, a nice salad, shrimp and beef with vegetables for small kebabs, figs with ricotta and honey. This isn’t your four-year-old’s birthday party menu! Realize that sun dried tomatoes are no longer a thing. Everything that looks like it might be them is actually roasted peppers or craisins. The 1990s are officially, totally over for you now. Have your visiting-from-out-of-town parents pick up the balloon order because it’s closer to their hotel than your house. Don’t yell at your mom if they aren’t ready. When they finally get here, realize that balloons are totally not what Gwyneth Paltrow would do and seem more like something that they do at a Chuck E Cheese birthday party for a four-year-old. But tie them to the backs of everyone’s chairs anyway. Have a blast at the party. Enjoy the big smile on your daughter’s face and time with family and friends. When it’s all over, feel like this.